Here’s a serious question: Do they call it the “Volunteer State” because it’s the obvious answer as to which state most people would volunteer to live in? From stunning forests to majestic mountains, white-water rafting to serene hiking trails, Tennessee is truly an outdoor lover’s paradise. And even when it’s time to take on city living, it’s hard to beat the cultural precedents Tennessee has on offer. I mean, we’re talking about the home of the Grand Ole Opry, for goodness’ sake, not to mention Elvis Presley’s home at Graceland. On the state’s eastern border with South Carolina, it boasts what’s easily one of the greatest attractions for any RV camper: the Great Smoky Mountains National Park, which is one of the most beautiful and frequently-visited in the entire U.S.A National Park system. But even without setting foot inside its boundaries, there’s plenty of diverse, wild beauty to be seen in this southern gem, which is awash in waterfalls and lush with greenery. It’s also got a hefty helping of quirky fun, with attractions like Dolly Parton’s Dollywood and Nashville’s scale replica of the Grecian Parthenon. It’s not hard to find an RV for rent in Tennessee, and no surprise. With so many exciting attractions and a wealth of well-regarded Tennessee State and RV parks, it’s a hugely popular RV camper destination. You can enjoy all the convenience of the comforts of home combined with the liberation of a road trip when you travel by RV, and also have the chance to see all of this state’s stunning offerings at your own leisure. Of course, with so many benefits to motorhome and travel trailer living, it’s no surprise that most campers soon find themselves smitten enough to be searching for their very own vehicle. Renting is wonderful, but there’s nothing like having your very own home away from home, right? Well, if you’re on the market for your first RV — or even to upgrade your existing vehicle — RV shows are a fantastic way to do your shopping. When may RV dealers gather together under one roof, it means you’ll be able to walk through and thoroughly vet many more makes and models than you would on any given dealership floor. In most cases, you’ll also benefit from competitive, cut-throat pricing. 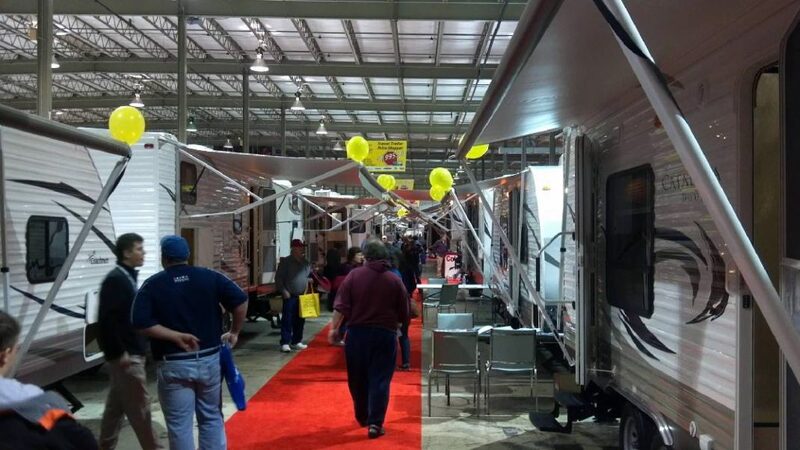 Here are the best RV shows in Tennessee, and all the details you need on tickets and pricing. Hey Knoxville! Ever feel like all the cool Tennessee events are always in Nashville or Memphis? Well, if you’ve been desperately searching for “RV shows near me” that don’t mean a drive into North Carolina, we’ve got you covered. The Knoxville RV show is actually one of the best-known in the state of Tennessee, and for good reason — after all, you’re the biggest city closest to the Great Smoky Mountains National Park, and who doesn’t want to go RVing in that beautiful wilderness? 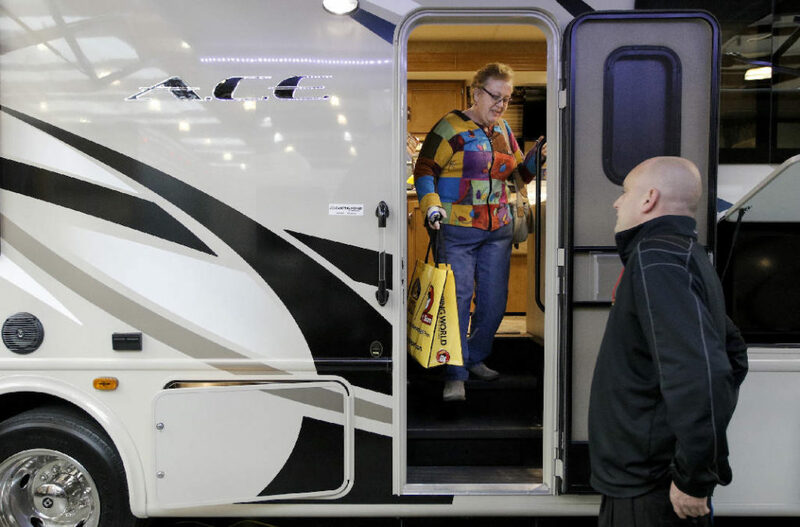 With well over 150 makes and models of RV to choose from, the Knoxville camper and RV show really does offer something for every outdoor enthusiast out there. Whether you’re looking for a large, luxurious Class A motorhome, a modest Class C for the family, or even just a tiny pop-up travel trailer for weekend adventuring, you’ll have lots of options to explore and choose from at this show. The event is held in Sevierville, Tennessee, which is close to Knoxville without being in the thick of the city traffic. After you’re done exploring everything the show has to offer, you can make a complete weekend of it by heading out to the quaint nearby towns of Pigeon Forge or Gatlinburg — or going the extra few miles to make it into the Great Smoky Mountains National Park itself. No matter where you stay, there’s no shortage of beautiful things to see, interesting things to do, and great food to eat in the Knoxville area! Held in the world-famous Music City Center in downtown Nashville, the Nashville RV Super Show is the place to be if you’re ready to find your next outdoor adventure deep in the heart of Tennessee’s biggest and best-loved city. This year is the motorhome show’s 8th annual running, and with more than 100,000 square feet of exhibitor space and dozens of vendors, it’s one of the largest RV shows in the state! Whether you’re looking for a tow-behind or a big Class A diesel pusher, campers of every stripe will find their favorite products and models represented at the Nashville RV Super Show. This expo draws many of Tennessee’s best and most reliable RV dealers, as well as hunting and camping outfitters and goods purveyors from across the southern Atlantic region of the country. The camping show is organized by BK Productions, one of the best-known event promoters in the southeast; these people know how to host a show that features great fun as well as valuable shopping and buying opportunities. But don’t take our word for it — check it out yourself this January. After all, the new year is a perfect time to buy a new rig to take on all of the adventures you have planned for 2018. By the way, in case you need just a little bit more incentive, Nashville is a fantastic place to spend a weekend whether or not you’re in the market for a new RV. If you’re not quite ready to sign any ownership papers, you could still swing by and take a gander at some of the beautiful new 2018 models, and follow it up with a round or two of beers in one of Nashville’s famous pubs. No matter where you go, you’re bound to run into friendly people, delicious food, and most importantly, fantastic tunes — it is called Music City for a reason, after all! Friday, January 19: 12 p.m. noon – 9 p.m.
Saturday, January 20: 10 a.m. – 9 p.m. Discounts: Get $2.00 off your price of admission with this free printable coupon! From tow-behind travel trailers to luxurious, all-inclusive motorcoaches, the Chattanooga RV Show is the perfect opportunity to walk through a variety of vehicle types to discover which is right for you and your family on your upcoming adventures. But this is far more than just a travel trailer show. The Chattanooga expo is a full-on event with way more to offer than just great sales on high-quality vehicles. Along with exploring the RVs and camping equipment on sale, you’ll also learn more about what to look for when buying an RV in the first place — or how to best take it out boondocking (or even full-timing in it!) when you attend any of the show’s roster of seminars and speeches. Got the kids along for the ride? Don’t worry about them getting bored. During select hours on Saturday and Sunday, there’s a special surprise for them: The chance to meet their favorite Marvel superheroes! And don’t forget that a weekend in Chattanooga is a great time in its own right. Once you’ve had your fill of the exhibition, head out into town to explore the Tennessee Aquarium or the Tennessee Valley Railroad Museum — or stand in awe of the beauty and wonder of nearby Ruby Falls or Rock City. The choice is yours. Although it’s not primarily an RV camper show, we’d be remiss not to point out this great opportunity happening annually in Memphis, Tennessee, to check out some of the coolest boats and outdoor sporting goods on the market today. And as you probably know, where there are boaters, there are campers too — and several RV dealerships and repair facilities are represented on this expo’s vendor list! 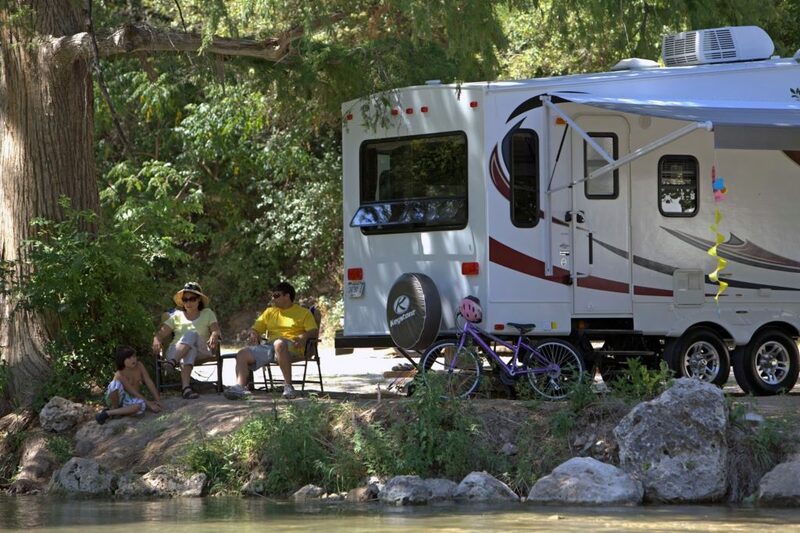 RVing draws an adventurous, outdoorsy set, so it’s no surprise that many campers are also interested in boating. Go ahead and indulge your curiosity — this show is a great place to do so, with dozens of dealers and experts at your disposal! Even if you don’t discover a calling to the sea, you’ll still have a great time at the Mid-South Sports and Boat Show. Along with the pleasure of simply ogling the boats, you’ll also be entered for a chance to win valuable hourly door prizes, scope out the antique lure display, and even fish in the live trout pond with Junior. Finally, if you’ve ever wondered how to be more successful at your attempts to reel in dinner, there’s a full itinerary of informative and educational fishing and boating seminars taking place all weekend long. Even an experienced angler is sure to learn a little something! Friday, February 16: 2 p.m. – 8 p.m.
Saturday, February 17: 9 a.m. – 7 p.m.
As you can see, Tennessee is almost as perfect for shopping for an RV as it is for actually camping in one. Whether you’re ready to buy or just browsing, enjoy the shows — and your beautiful state!